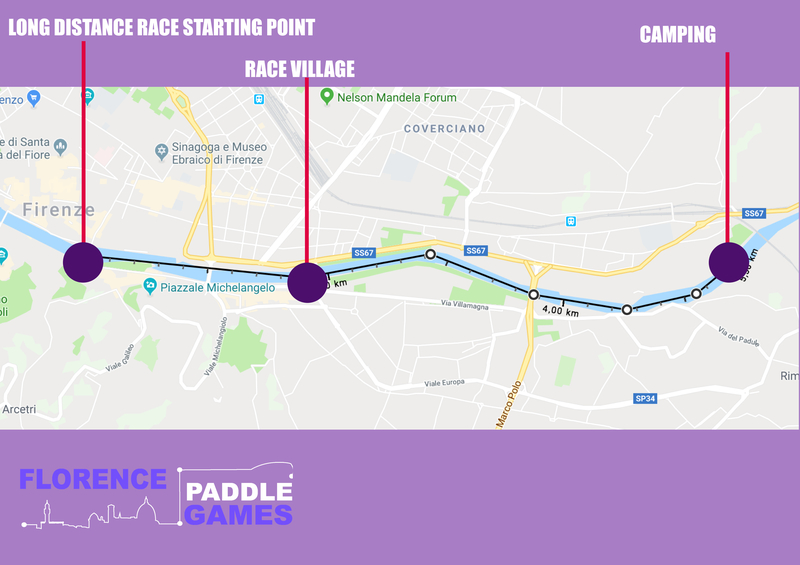 If you are accommodated at the Camping in Town in Via Generale Dalla Chiesa in Florence, after your arrival you can easily reach the Race Village, which will be open from 11 am on Friday 10th of May until the Prize Award at 4 pm on Sunday 12th of May. In case you want to book the accomodation you can reserve through the following link https://www.florencepaddlegames.com/accommodation . We suggest you to reserve as soon as possible that. In case you have info or questions about the booking through the landing page you can contact directly the Camping in Town staff at this address: diletta.santoni@humancompany.com or camila.galli@humancompany.com. By car: From highway A1 follow to Center until Piazza Ravenna, then turn to Lungarno Ferrucci 4. 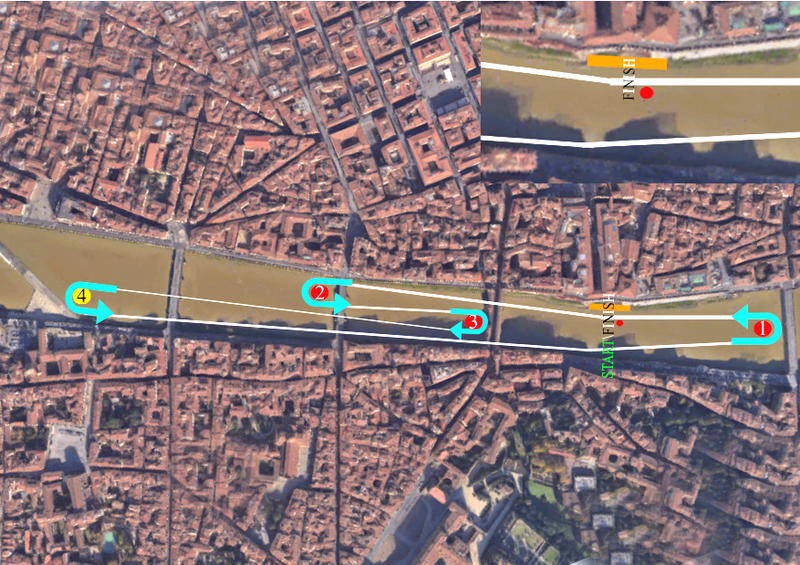 With your board by the river: In that case ask us for some recommendation about the navigation in the river, there are some things to know. On the Race Village you can safely store your equipment for the three days of the event. Registered participants can access to shower and facilities located on the Race Village.